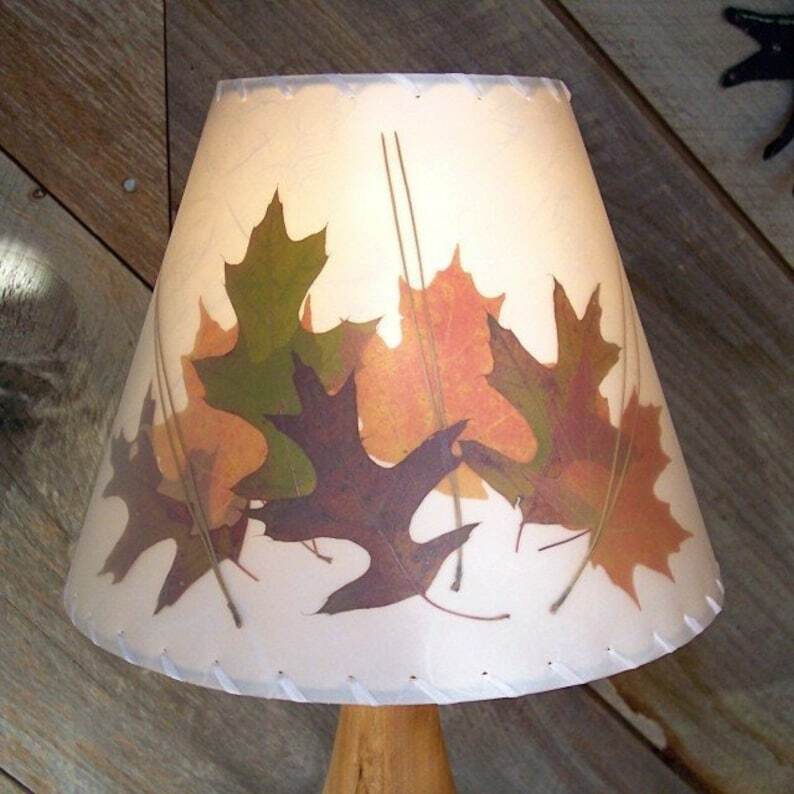 Autumn in New England is preserved forever in this lampshade which features reddish brown and green oak leaves, orange sugar maple leaves and pine needle accents. As all leaves are different, your shade will not look exactly like this photo but very similar. This shade has a white background and white stitching. The shade in the photo measures 5" across the top, 10" across the bottom, and is 8" high, with a clip on top, but can be made in other sizes and with a washer top for your lamp with a harp fitting. Please choose the size and hardware you need. If the size you need is not listed, please contact me as I make over 200 different sizes. Botanical Lampshades are easily cleaned with a soft cloth and will last for many years. They should be used with the lowest wattage bulbs and kept out of direct sunlight to preserve the colors as long as possible. Lampshades cannot be returned so please check the size and hardware and make sure before you order.